“Randy Rhoads: The Quiet Riot Years” is a must have for any fans of true rock n roll, for anyone who is seeking their inspirations to come true and for people who loved the legacy of iconic rock guitarist Randy Rhoads. As a delightful bonus, this vivid coffee table book comes with a 90-minute DVD documentary with personal details and treasured memories of the early years of Randy Rhoads with Quiet Riot. Featuring commentaries and interviews from the band itself — Quiet Riot’s frontman Kevin Dubrow, drummer Drew Forsyth, and bassist Rudy Sarzo — gives us an up close and personal look at how Quiet Riot began, what a rock legend Randy Rhoads was in his time, and how he would be remembered forever. Narrated and directed by Quiet Riot photographer, lighting designer and dear friend, Ron Sobol, the film is a true fascinating and chilling tale of how two young boys that just wanted to play rock n roll, found each other and set out for their destiny in stardom. Dating back to March 3, 1975, in the beginning of the documentary, you hear the voice of front man, Kevin Dubrow talking to a live crowd, introducing Randy Rhoads on guitar and explaining how they met. The story goes that Kevin received a phone call from a guitarist (Randy) seeking to form a band and was auditioning lead vocalists. When they got together the next week, Kevin heard Randy play the guitar and in those few moments, he instantaneously knew Randy was magical. “People, don’t ever forget the name of this guy. He is Randy Rhoads”. ~ Quote by Dubrow. Kevin knew it then and the world soon would know too that Randy had it in him to be legendary. He had the look, the virtuoso talent on the guitar, and he had the drive. Anyone who watched Randy knew he was a star on his own, before his life was tragically cut short at the young age of just 25. 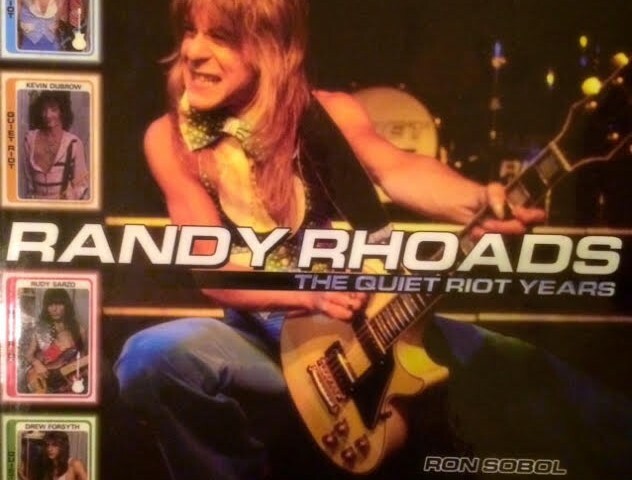 The documentary recounts behind-the-scenes action in rare, some never before seen, video footage of the early five-year period (1975-1980) of Randy Rhoads and Quiet Riot. Capturing Randy in his true essence, Ron always had his camera around his neck and was ready and able to grasp rare footage and images that would later become epic remembrances of the rock icon. With this bittersweet documentary, you will be taken on a rock n roll journey through Randy Rhoads’ early days and witness how a suburban boy with a big dream stayed true to his vision, followed his heart and made it as one of the greatest musicians of all time. It’s a story of two friends’ struggle to make it out of Hollywood and onto the world’s stages. 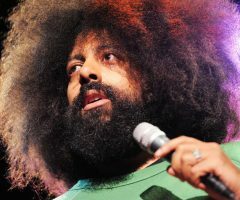 To this day, many artists are influenced by his unique and powerful sound. “He could play fast, he could play slow, he could play grungy, blues and all with so much feeling. He looked the part and anyone can tell he would be a rock star”, says Director/photographer Ron Sobol. This voluminous rock n roll coffee table book is filled with nostalgic photos and anecdotes. You will witness the group in early day rehearsals, performing live onstage, and see Randy and the band in never been released and never published footage. Executive Producer, Peter M. Margolis of “Randy Rhoads: The Quiet Riot Years” coincidentally took guitar lessons from the legendary guitar player. Peter’s fondness and great awe of Randy compelled him to record each and every single guitar lesson. 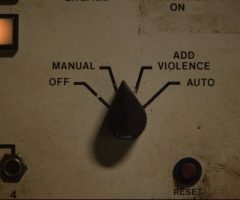 Some of the private recordings are included in the documentary. To hear the voice of Randy Rhoads during these sessions is emotional. It was years later that Margolis and Sobol came across one another while working on another project. Seeing that Ron had an incredible collection and memorabilia of Randy and Quiet Riot’s early years, they decided together to make this fascinating documentary to honor the memory of their friend. The documentary contains revealing interviews from Jodi Vigier, the once upon a time girlfriend of Kevin Dubrow. Though she was Kevin’s girlfriend initially, true love always prevails and eventually Jodi dated Randy and the two then became inseparable. The documentary dips into the love story of Randy and Jodi for those hopeless romantics. The viewer will also get to know just how Quiet Riot’s unique look came to be, and how Randy’s signature look of polka dots and bow ties came to life. Some fun facts are also revealed in interviews from Quiet Riot’s most loyal fan, Lori Hollen, who Randy asked personally to become the President of their fan club. She honors that commitment to this day. She was captivated by Randy and would always bring in anyone and everyone to their shows. She says that she would find any way possible to be center stage directly in front of Randy Rhoads to watch him hypnotize the crowd with his guitar playing. When Randy would play his solos, you could hear a pin drop in the crowd. All eyes and ears were on Randy as he captivated the room. Candid interviews are also shown with the mother of Kevin Dubrow as she reminisces how Kevin and Randy began their band and Kevin’s dear fondness for his bandmate and friend. Kevin and Randy quickly bonded from the beginning and both shared the same vision of making it to the big times. 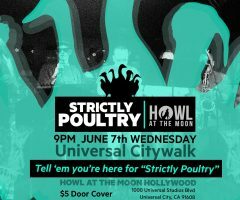 Their will was strong and with hard work and persistence, they eventually, by 1977, began playing sold out shows in Hollywood’s most notorious clubs, such as The Starwood and Whisky-A-Go-Go. Everyone would line up outside to see a glimpse of Quiet Riot. As the documentary is filled with heartfelt memories, epic footage, exciting never before told details, it necessarily includes the heartbreak and tragedy that cut this spectacular life short. In October of 1979, Randy was given an opportunity of a lifetime, what would be his biggest break yet. Former Black Sabbath vocalist, Ozzy Osbourne was attempting to form a new band that would become known as ‘The Blizzard of Ozz’ and was holding auditions in search of a lead guitarist. Given the chance to audition for Ozzy Osbourne was a tremendous opportunity, but Randy had mixed feelings about the audition and struggled with this decision. He did not want to be disloyal to his beloved friends and band mates in Quiet Riot. Given the fact that Quiet Riot’s future seemed somewhat bleak at the time, it was an opportunity Randy couldn’t pass up. He went to the audition and after playing a few short notes Ozzy offered him the gig right on the spot, much to Randy’s surprise. 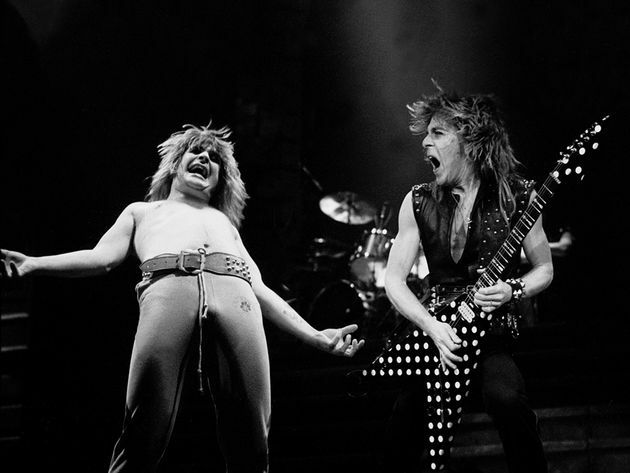 The documentary sheds light on Randy’s transition from Quiet Riot to Ozzy Osbourne. Initially hesitant, Randy set off with his new band and achieved massive worldwide success. His heart remained with his longtime friend Kevin Dubrow and he frequently kept in touch with hand written postcards that are featured in the documentary. While Randy was in the prime of his musical career, Kevin did attempt to replace Randy and later changed the name of the band to just “Dubrow” and continued his search to fulfill his dream of rock n roll stardom. 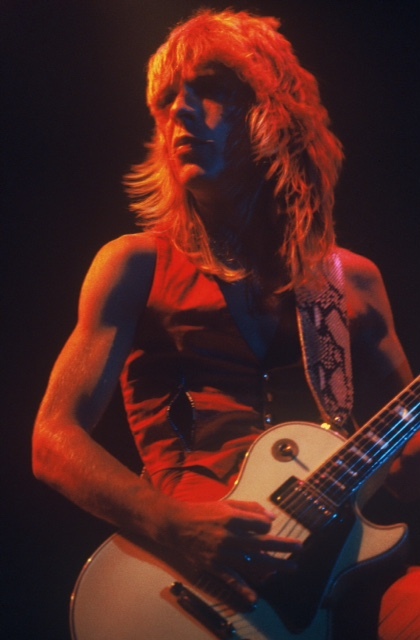 Randy Rhoads’ destiny for rock fame was tragically taken away from him and the world on March 19, 1982. Traveling with his new band heading to a festival in Orlando, Florida, Randy died in a plane crash. 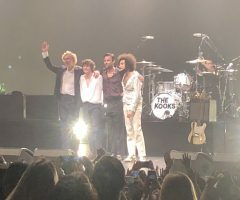 He had gone up in a small private plane with the tour bus driver and private pilot, Andrew Avcock. On a few attempts to buzz around the tour bus, where the other band members were sleeping, the third attempt with Randy on board was unsuccessful. One of the wing’s clipped the top of the tour bus, breaking the wings into two parts, and the small plane crashed into the garage of a nearby mansion and burst into flames. With Randy’s passing, a little bit of rock and roll was taken away as well. It was never a question of “If” with Randy, it was always a matter of “When”. Randy Rhoads’ legacy continues to be that of inspiration, a true rock and roller, and without a doubt one of the most groundbreaking guitarists of all time. Randy Rhoads is the James Dean of hard rock n roll. 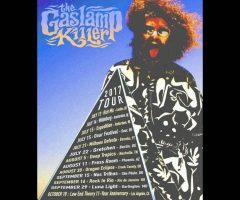 His unique style of heavy metal was influenced by his love of classical guitar and was imbued with an advanced and distinctive technical ability that will forever rock the world. Sadly, tragedy struck again with the death of Kevin Dubrow on November 26, 2007. 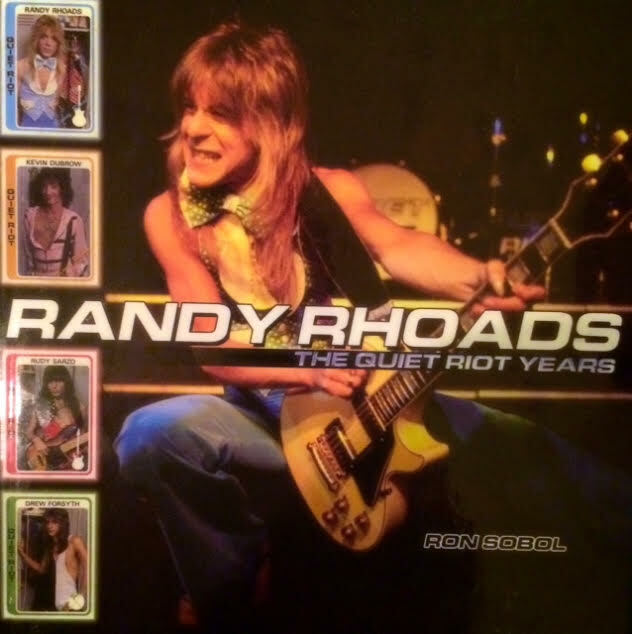 Working together Sobol and Margolis curated this elaborate history collection of Randy Rhoads: The Quiet Riot Years. For those that ever dreamed of rock and roll stardom, the colorful pages of this coffee table book will inspire you, and the DVD documentary will have you cheering. Sobol really managed to capture rock n roll at its finest, humblest, and most raw. It is a tearjerker and stay-tuned for a very bittersweet treat at the very end. You must watch the entire credits to view it.